Congratulations, Tatertot374! You are the winner of How To: Simplify’s Calphalon Bakeware Giveaway! I e-mailed you with instructions on how to claim your prize! Thank you to all who participated in the giveaway! I had so much fun learning about your favorite desserts that you like to bake. 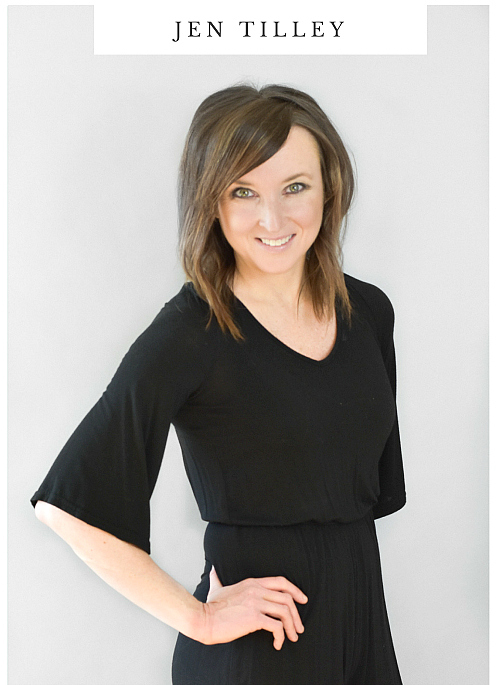 I hope you enjoy following How To: Simplify and all of the tips, tricks and recipes that are shared to help simplify life in the kitchen! The other day I was at the store when I came across a tube pan that I knew I had to buy. Having never owned a tube pan in the past, I’ve never had the opportunity to bake with one so I was excited to give it a try. I started researching different cakes and desserts that I could prepare with it and that’s when I stumbled upon a recipe for a classic pound cake in the most recent issue of Southern Living Magazine. I fell in love with the recipe almost immediately because it was right in line with being simple and easy to prepare. It required only six ingredients and six steps to create this buttery, from-scratch dessert. Plus, I already had all of the ingredients on hand! Originally, the name “pound” was given to these cakes because they required one pound of butter, one pound of eggs, one pound of sugar and one pound of flour. Today, the proportions can be slightly different in some recipes but the result resembles the original: a rich, moist and buttery cake with a lovely golden crust. Place flour, sugar, butter, milk, eggs and vanilla in a mixing bowl. Beat at a low speed for one minute, stop to scrape down the sides and beat again for an additional two minutes. Pour into a greased and floured 10-inch tube pan and smooth. Bake for 1 hour and 30 minutes or until a long pick inserted in the center comes out clean. Remove from pan to wire rack and cool completely (1 hour). All you have to do is let me know what tasty treat you love to bake. It’s that simple! Leave a comment on this post by 11:59 p.m. EST May 8, 2010 telling me what you love to bake for a chance to win this Calphalon tube pan and Calphalon bakeware set! Please be sure to leave your e-mail address so that I can contact you if you’re the winner! Follow How To: Simplify on Twitter and tweet the following: “Visit http://bit.ly/d1Iq9y and share what you love to bake for a chance to win Calphalon bakeware from @HowToSimplify!” Be sure to leave a link to your Twitter post in a comment. Become a fan of (or “like”) How To: Simplify’s Facebook page and share this with your own Facebook friends: “Visit http://bit.ly/d1Iq9y and share what you love to bake for a chance to win Calphalon bakeware from How To: Simplify!” Be sure to leave a comment letting me know that you did this. This giveaway is open to U.S. residents only and ends at 11:59 p.m. EST May 8, 2010. One winner will randomly be selected on May 9, 2010 (Mother’s Day). 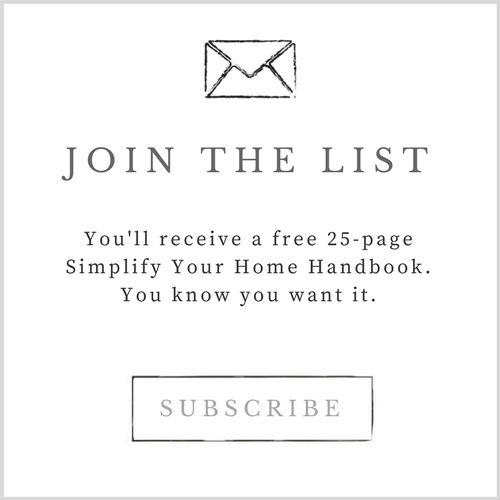 This giveaway was sponsored by How To: Simplify and is in no way affiliated with Calphalon. If you are reading this entry via email updates or RSS reader, please visit How To: Simplify to enter. Unfortunately, emailing How To: Simplify is not a valid entry for this giveaway. I absolutely love to bake classic chocolate chip cookies. And I like to undercook the just a bit so they are nice and soft! 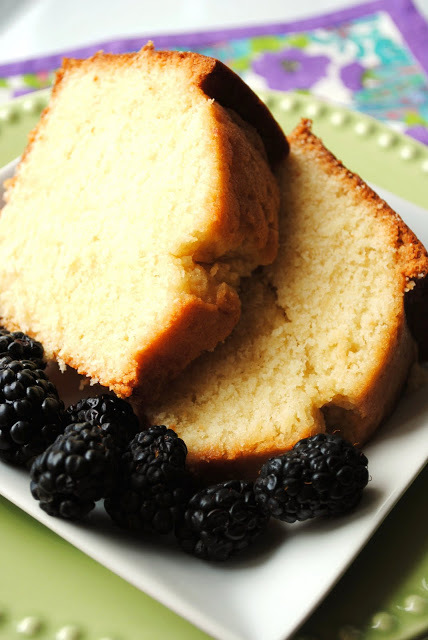 I love this Classic Pound Cake served with beautiful fresh fruit! I love a simple recipe! What a great giveaway! I'd love to win these pans! I love to bake zucchini bread or muffins because they're simple and always turns out great! I love to bake and am addicted to banana bread! I would make lasagna and brownies!! I like baking pumpkin pies or cheesecakes. I love to bake Blueberry Muffins. 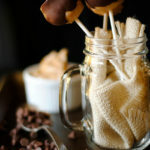 My whole family loves them and they are so easy to make. I'm a fan of making Kentucky Butter cakes and Tunnel of Fudge cakes. I love making my cream cheese pound cake and my banana nut muffins! Great giveaway! I like to bake German Chocolate cakes. We love pound cake. Try toasting a slice and serving it with a scoop of vanilla ice cream…so good! I love to make Cinnamon Egg Bread, it is really yummy. It is a little time consuming, so when I make it, it is a special treat. I would love to win this, I love pound cake. Thanks! This pound cake looks incredible! 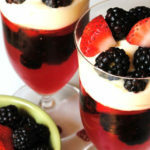 Love it with fresh fruit and a bit of whipped cream. I know my mom would love this! I love pound cake as well! My favorite is almond pound cake. I could eat the whole thing myself! yum. i love pound cake! i haven't had any in ages though. i need to correct that. i have a hard time picking a favorite. maybe muffins (that involve chocolate of courss)! I love to bake banana bread, chocolate zucchini bread and carrot cake. I shared the link on my Facebook status, and I "like" your page on Facebook. I love to bake coffee cake and breakfast breads. Mmmm… Thanks for the giveaway. I like to bake homemade brownies because they are quick and easy. I love to bake my "Good for you cupcakes" made with pop. There are so many things I love to bake. I am always in the kitchen and reading new recipies. Baking is almost a religion with me. It smells wonderful in the house and cheers me up immediately (except for the clean-up) I love to make Death By Chocolate cakes. I get hungry just thinking about them. I love to bake Cookies, cake and brownies. I always make Tea Time Tassies ( a small pecan pie tart) from the River Road Recipes cookbook. I love baking brownies, my son loves them. I love to bake cupcakes and cookies for my sons, especially for school parties and such! 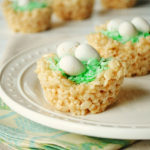 I also love making rice crispie treats! I love to bake EVERYTHING. Cookies, cakes, brownies, bread, muffins, etc. Love it all! I love to bake simple, unfrosted cake, so this giveaway is perfect for me! Thanks! i love making and eating brownies! I love to bake homemade banana bread. I love to make chocolate banana nut bread. Yum! We make a lot of muffins at our house. I make raspberry, strawberry, lemon poppyseed and our favorite, chocolate chip muffins. Lemon pound cake: Omit Vanilla flavoring, add 1/2 cup lemon juice and the grated zest of one lemon. 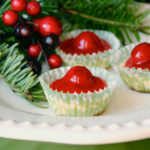 I make mine extra festive by adding a glaze of melted lemon curd. my favorite thing to bake is my pineapple upside down cake or Chocolate pudding bundt cake..both are super yummy! At Christmas I bake hundreds of different cookies to give away! I love to make my Mom's recipe for Whoopie Pies. The real ones with Fluff and shortening filling, fattening and totally sinful, but sooooo good. I love to bake banana bread, blueberry muffins and brownies. I love to make chocolate bundt cakes! would love to bake a NYC Cheesecake ! I love to bake cheesecakes. I love to bake pumpkin rolls and apple pies! I love to bake lots of things from cookies to pies, cakes and homemade breads. I love to make oatmeal muffins for my kids in the morning. I love making angel food cake. I love baking, this would be great to have in the kitchen. Thanks! I love to bake banana bread, cakes, cupcakes, pie. I bake often for my family, it is fun to do with the kids. I like to make cakes. I bake cakes for everyone at works birthdays. I try to find new recipes each time. I love to bake fudge marble muffins. I love to bake German Chocolate Cake. I love to bake brownies, especially ones with all kinds of fillers like marshmallow cream, peanut butter, caramel..etc. Yum! My favorite thing to bake is banana nut bread, not only do I love it, but I love the smile it brings to my husband's face! I love to bake pound cakes, brownies, and muffins. Thanks for the giveaway. I make a lot of brownies, and chocolate chip cookies. cinnamon rolls…They are my new obsession and I want one in every flavor. So that means I need to get to baking. I love baking old fashioned cheesecake and topping it off with fresh berries. Yeah! Now I'm hungry. cdziuba@aol.com I love to bake, and really enjoy making my famous Red Velvet Cake. I love to bake anything low carb for myself. But, if I'm not low carbing, then brownies it is! I like to bake lemon blueberry muffins. I've subscribed to your RSS feed ….now I think I need to go whip up one of those pound cakes! That is one wonderful recipe. Thanks! …and thanks for the chance to win! I would bake some snickerdoodle cookies on the baking sheets and a chocolate pound cake in the tube pan. Great giveaway! 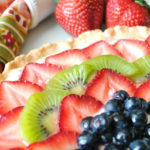 I love to bake cakes, cookies, cheesecake – everything but pies (I'm a wimp about the pie crust). I love to bake cookies, especially oatmeal raisin ones. I love to bake brownies. I love to bake a lot. I am starting to bake bread and I love to bake and decorate cakes. Everyone in my family loves a good flax muffin or yummy warm banana bread. I love to bake Greek goodies like Baklava! My daughter and I love baking Peanut Butter/Chocolate Chip cookies. I love to bake cakes and muffins! Thanks for the chance. i would make a cream cheese pound cake. Speaking of poundcake, I had an amazing Parmesan pound cake the other night at a wine bar! Sounds weird, I know, but it was incredible! Would love to find out how to make it. I love to make amaretto cake! It is my "cake" and bake it for all kinds of occasions and take it when we go visit company. I love baking homemade Blackberry Cobbler. I am a new subscriber via email as jweezie43[at]aol[dot]com. I have recently started making the "no knead" breads. I'm having fun with that, but I just love to bake anything! I love to bake chocolate cake! Oooh, the pound cake looks divine! I love baking bread. Anything chocolate comes in at a close second! I had no idea how pound cake got it's name, makes sense! I love to bake breads and cookies, especially Banana Nut Bread. We will always be stuck on chocolate chip cookies! Yum!! I love to make Chocolate Chip Muffins. Today I baked a chocolate cake to bring to a potluck dinner tonight. It got rave reviews! I'm looking forward to bringing it again. I love to bake TEXAS Sheet Cake…it is from scratch and easy to make! I like to bake a rich Rum Cake, heavy on the butter and the rum! I love to bake and eat brownies. I like making peanut butter cup brownies! I like to bake cinnamon swirl bread. I love making banana bread. I think it's super tasty and it's something I'm good at making. I love to bake apple crisp – my favorite fall dessert! I like baking fresh fruit pies – especially blueberry with blueberries from my garden. My cookies come out the best but I enjoy baking banana bread, too. Thanks! We like to bake cupcakes and cookies. I love to make Baked Alaska! Its weird but awesome! i love to bake peanut butter cookies!! I love to bake pies, breads and cupcakes. The neighborhood always can't wait until I get on a baking streak. I like to make sticky buns. I love to bake cookies with my kids. They have a blast. I love to bake muffins for breakfast–blueberry or banana or raisin bran. I love to bake Snickerdoodles with my kids! I love to bake breads. I make a mean blueberry quick bread and a great whole wheat loaf. love makinf pineapple upside down cake. I love to bake bread because it smells so wonderful and lasts for at least a few days. I bake a mean chocolate cake, too, but it goes in a hurry! I love to bake brownies and then eat them in a brownie sundae. Yum. I love baking cakes with my daughter. We also make yummy pies. I like to bake bread puddings. My wife has a bit of a sweet tooth… ok, ok, you caught me. Its me with the sweet tooth :) We both cook though, so its fair. Brownies, cupcakes, cakes, pies, cookies (lots of cookies! ), and a few other things. I'd love to gift this new prize pack of bakeware to her because it'll get tons of use and we'll both use it! Thanks (but shhhhhh, don't tell her)! I would make a red velvet cake with cream cheese frosting. I love to bake cookies most, but I've been trying different bundt cakes recently. I love to bake pies. My favorite is a cherry pie, but any fruit pie is great. My current tube pan is almost soley used for a Sour Cream Pound cake. I love to bake birthday cakes for my kids. I'll spend hours and hours on it! My kids and I love to nake cookies and cinnimon rolls. My favorite thing to bake is usually Ginger cookies with my son. It was a recipe that I used to make with my great grandma and just the smell of them makes me smile. I love to bake Mexican wedding cookies especially but I love baking in general- cake, cookies pies, cookie bars. I love making angel food cake with different fresh fruit&cool whip on top! I love to bake homemade cheesecake and homemade chocolate- chocolate chip cookies. What a generous giveaway, thank you so much- I love to bake cupcakes and cookies especially. And bread now that I have a heavy duty mixer. I love making Pineapple Upside Down Cakes. So pretty and so easy. I am a cookie gal. I have a sugar cookie recipe that is my favorite! My mom doesn't cook, so me and my dad would ban together to make her boston creme pie, her favorite! I love to bake Rum Cakes. I love to bake chocolate chip cookies from scratch. I love to bake brownies. Yummy! I love to bake everything! My kids are happy when I make Monkey Bread. I like to bake cream cheese croissants. I love the bake meatloaf. My family loves it. I like to make my grandmas homemade oatmeal cake with made from scratch frosting. Though we like to try and stay away from the treats I like to justify the oatmeal for the yummy unhealthy frosting! I love baking pies. In fact, in times of stress in my life I always turn to pie for comfort. There is something about rolling out the pie dough, lovingly gathering the ingredients and then putting it all together that helps put everything right in the world. Not to mention how great it tastes when it comes out of the oven. My pecan pie has been known to cure depression at times. My favorite thing to bake is a cherry cream cheese dessert. I'd love to bake some apple muffins. I love to bake fruit breads like banana bread, cranberry bread, and apple bread! I love to bake Dark Chocolate Brownies with Walnuts, then frost them with my special chocolate frosting, topping each brownie with 1/2 a walnut piece. I love to make chocolate mayonnaise cake with fudge frosting. 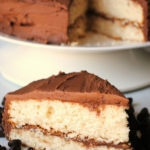 I love to bake yellow cake with chocolate frosting nice giveaway thank you. I love to bake Banana Nut Bread. MY FAVORITE THING TO BAKE ARE FRESH BROWNIES! I love making homemade banana bread. I love to bake sugar cookies and marble cakes. I love to make cheesecake! I became your Facebook fan and posted the requested message on my wall.